The story about what happens when a teenager tells a governor “#heblowsalot” on Twitter. The governor’s office reacted and the girl’s school demanded that she’d write a letter of apology, which she refused. A telling tale of how over-reaction can create a crisis out of nothing. Citroën recently launched a competition in which participants were asked to tweet directions and tell the driver of a car, where she should travel. By calculating which direction is the most requested, she would drive towards that direction until the next request is processed. One of the participants would then be able to win the new Citroën DS5. English no longer make up the majority of tweets on Twitter, 60% of tweets are in other languages. Arabic sees explosive growth, according to a study by Semiocast. International golf stars, spectators and media at the World Cup on the southern Chinese island of Hainan enjoyed uncensored Internet access denied to 1.3 billion Chinese. The owners of the five-star Mission Hills golf complex in Hainan managed to temporarily lift the Chinese ban of sites like Twitter, YouTube and Facebook. China became the world’s second largest luxury goods market in 2010, according to consulting firm Bain & Company. It is estimated that China will account for about 20%, or $27 billion, of the total global luxury sales in 2015, so this is the market to watch if you are a luxury brand. And social media is on the rise in China: micro blogs Sina Weibo and Tencent Weibo both have in excess of 200 million users, social network Renren has some 120 million users and there are about 300 million blogs in China. No wonder brands are turning to social media sites to engage in conversations with potential customers. L2 is a think tank which has just released a report on the top luxury brands in China and how they are performing in social media. The L2 Prestige 100®: China IQ study attempts to quantify the digital competence in China of 100 iconic brands. The one brand with the highest overall score is Audi, followed by Burberry and BMW. Seven of the top ten are car brands, and four of these are German brands. 2. BURBERRY – Luxury’s digital darling doesn’t disappoint. From Jiepang VIP guest passes for Beijing grandopening to Christopher Bailey soundtrack on Youku, Burberry claims the fashion crown. 3. BMW – From “beasts to joy”—sheer social pleasure; great translation of a global campaigns for the Chinese market. 4. 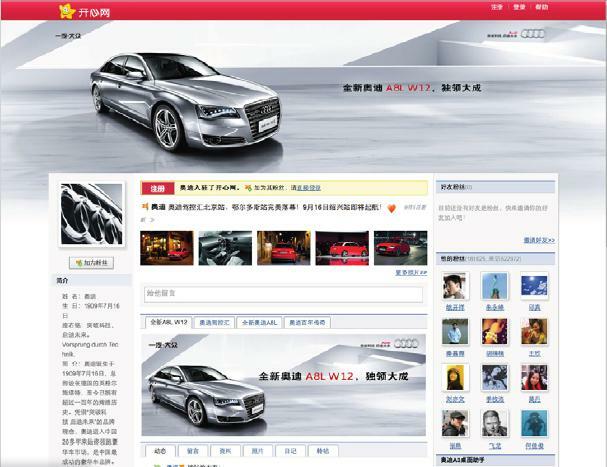 VOLVO – C70 Sina Weibo challenges consumers to design the plot for the next Volvo commercial. 5. BENEFIT COSMETICS – Local e-commerce launch caters to consumers with samples and gift-with-purchase offer; Sina Weibo and Kaixin “Benefit Beach Honey” contests delight. 6. CADILLAC – Recently released Route 66 short film starring Karen Mok across site and social media. 6. ESTÉE LAUDER – EL-Lady BBS includes videos, games, Q&A, and link to purchase. 8. LAND ROVER – “The Evoque Effect” sets the standard for multichannel digital campaigns. 8. MERCEDES-BENZ – SLK Mask Party contest provides winners tickets to China Fashion Week and site visitors an opportunity to create their own virtual mask. 10. PORSCHE – Innovative comparison tool and stunning microsites for each model are the engines of their online presence. Celeb tech blogger Robert Scoble writes that news about the China earthquake broke first on Twitter. A time line of tweets can be found here. Tags: china earthquake, twitter, jordbävning, kina. Ping.